This men's wallet has a simple, old-school design. It's made of durable full-grain leather with a rich oil finish that has a slight shine. An embossed Carhartt logo is its seal of quality. The leather scratched easily. Very cheap quality. He absolutely loved it! Quality leather and exemplary stitching. It is a Christmas gift for my Dad, and I hope that he likes it. I liked the looks of it, and the feel of the leather. I really liked that it came in a tin box. Great wallet, solid construction. It has two separated bill slots plus room behind the card pockets for more storage. As a previous reviewer stated this wallet is too thick. I drive trucks for a living and if you try to drive any distance with this wallet in your back pocket you are cruising for a bruising. I have to place it on the dashboard even when I drive across town. I love the look, I love the durability, I like the price and the fact this wallet holds all of my numerous cards. However, this piece of leather throws out my back so bad that it sends a pain running down my leg when I try to sit down anywhere with it in my pocket. This is one chunky wallet. I purchased this bifold for back pocket use, but the leather is so thick, that even empty, this wallet was thicker than my previous wallet that was holding five bills, six credit cards, and my ID. The only way I could get this wallet thin enough to use in my back pocket without throwing out my back was to remove the ID insert. Unless you plan on carrying this wallet around in a purse or bag, I would avoid this wallet. Bought this wallet for my husband for Christmas, so far so good, the only reason I didn't give it 5 stars is the plastic id pocket ripped a few weeks ago. This one still looks the same as the day I removed it from the tin. Nice color, good quality leather wallet, would recommend this product. Nice wallet. Functional and like the color. Had this wallet for about 7 years now and still going strong. Simple well made and enough room for everything you need. Only thing different is they had a color option, they used to offer brown also. Tough, well made and ruggedly appealing. I'm happy with it. Best wallet I can remember having owned. BEST ANSWER: No, this style is a bi-fold. BEST ANSWER: The dimensions are 4.5” L X 3.5” W X .75” H.
BEST ANSWER: This wallet is made in China. The color in he picture looks different then the color selection of carhartt brown. Is it the lighter or the darker color? 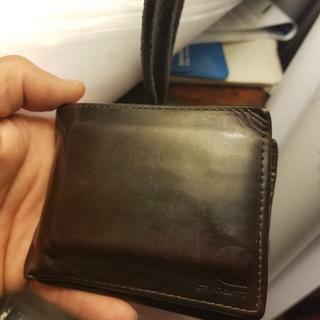 BEST ANSWER: This wallet is a darker brown as pictured. To be honest, I bought the wallet for my grown son last year for Christmas, and he loved it. I did look at my purchase when it was delivered & I was pleased. My son has used Carhartt wallets for a long time and asked for this one specifically! I know different devices can make colors look a bit off, I hope this was helpful in a small way!! Mine looks more of a brown color than what they show now. I bought mine 7 years ago though maybe they offered a different color then. Where does the bill money go? BEST ANSWER: No, this does not feature RFID protection. 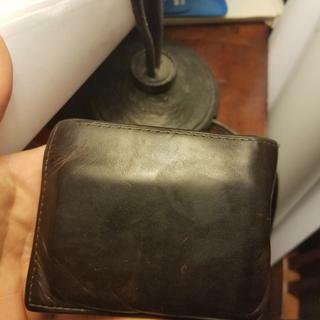 What are the dimensions of this wallet? BEST ANSWER: This style does not have a divider in the bill area. No it is not. That said, I really like this wallet. It made of good quality leather that will fall apart in less than a year like its predecessor. Simple but well made. It has a matching leather insert with 2 clear pockets for your license, etc. No, it is only one compartment! Is there a clear slot under the passcase for ID to be visible without taking it out? BEST ANSWER: Yes, this style features two ID windows on a removable passcase. Yes! Bonus: It folds out so you can see two ID's. One on the one side and one on the other. My husband loves this wallet because he can show his license and conceal carry permit as well. He has had it for a year this Christmas. Yes there is. However most establishments where an id is needed will ask you to remote it anyways I find. Yes there is and it's removable. BEST ANSWER: A passcase wallet is a men's wallet that has a removable, two-compartment, see-through pass case that can also flip up. BEST ANSWER: Yes, the passcase is removable in this wallet.